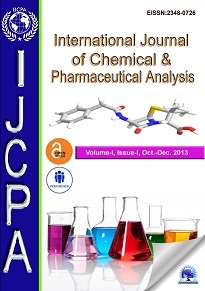 International Journal of Chemical and Pharmaceutical Analysis (IJCPA) is a double blind peer reviewed online OPEN ACCESS journal published by Aarya Publishing House (APH). 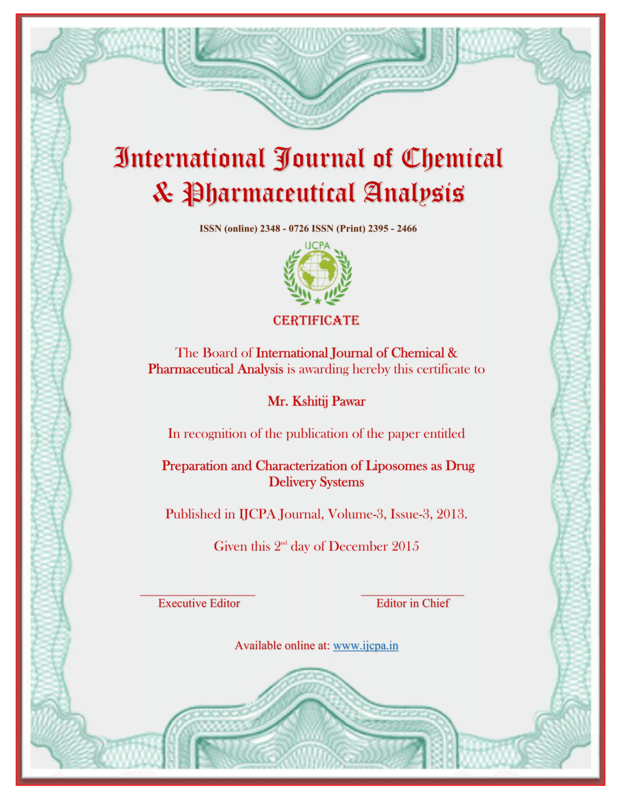 IJCPA is intended primarily to promote rapid publication in the fields of Chemical, Pharmaceutical, Biomedical & Clinical analysis. 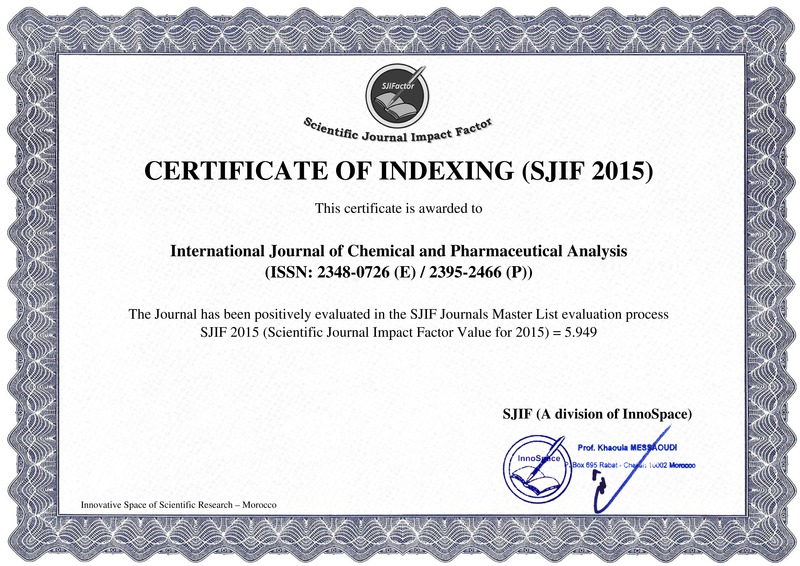 This Journal publishes original research work that contributes significantly to further the scientific knowledge in area of Chemistry, Pharmaceutics, Novel Drug Delivery, Biopharmaceutics, Pharmacokinetics, Nanotechnology, Pharmacognosy, Phytochemistry, Natural Product Research, Pharmaceutical/Medicinal Chemistry, Computational Chemistry and Molecular Drug Design, Pharmacology and Toxicology, Pharmaceutical Analysis, Quality Control, Quality Assurance, Drug Regulatory Affair, Pharmacy Practice, Clinical and Hospital Pharmacy, Pharmacogenomics, Bioinformatics, Pharmaceutical Biotechnology & Microbiology. Already have a Username/Password for Int. Jour. of Chem. & Pharmaceutical Analysis? Call for Editorial Team Members: Eminent researchers from Academia / industries are invited to join IJCPA as Editorial Board Member or Reviewer . International Journal of Chemical and Pharmaceutical Analysis by Aarya Publishing House is licensed under a Creative Commons Attribution-NonCommercial-NoDerivs 3.0 Unported License. Based on a work at www.ijcpa.in.